Dr. Michael Carrizales is a Senior Staff Psychologist and Latinx & Undocumented Student Specialist at the University of Oregon Counseling Center (UCC). His clinical experience is grounded in working with diverse and historically marginalized communities within university counseling settings, including Hispanic Serving Institutions (HSI). Michael’s professional interests and passions relate to working with marginalized and underserved communities, including students who identify as Undocumented, DACAmented, Mixed-status, Asylum-seekers, or receiving Tuition Equity, Latinx, 1stgen., LGBTQIA+, multi-racial/multi-ethnic, international students, and students from lower socioeconomic backgrounds. Michael enjoys working with a wide variety of presenting issues, including identity development, anxiety, depression, trauma, gender and sexuality, family of origin concerns, and relational concerns. 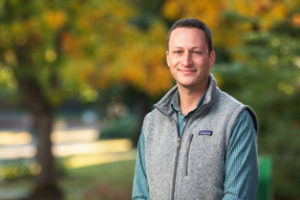 The values of equity, inclusion, and progress are central to his work, and Michael seeks to engage the campus community in continuing to pursue these values through outreach/workshops, program development, and identifying systemic barriers to help-seeking behaviors, particularly among marginalized communities. Michael earned his Psy.D. in Clinical Psychology from the Chicago School of Professional Psychology. Dr. Eric Garcia is a Senior Staff Therapist and Latinx & Undocumented Student Specialist at the University of Oregon Counseling Center (UCC). Over the past 6 years, Dr. Garcia has provided psychological prevention and intervention services to college student populations. He especially enjoys working with Latinx and Undocumented/DACA/Tuition Equity/Mixed-Status students as well as students from other underrepresented and marginalized communities. He is also interested in men’s issues, trauma, career and academic development, family of origin issues, relationship concerns, and LGBTQ allyship. As a student specialist, he provides clinical, educational, outreach, and consultation services to Latinx students as well as Undocumented/DACAmented/Mixed-Status students. 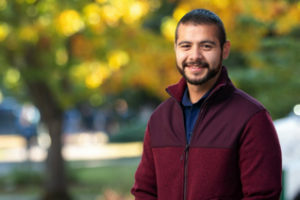 Over the past 4 years, he has also been an active member of the University of Oregon Dreamers Working Group, which is an interdisciplinary team dedicated to serving Undocumented and DACAmented students by gathering and disseminating legislative information and resources, developing comprehensive student resources, and providing ally trainings to faculty, staff, and students. Dr. Garcia also engages in research focused on Undocumented and DACAmented student mental health, Latino/a adolescent career development, and racial/ethnic microaggressions. He received his Ph.D. in Counseling Psychology with a Specialization in Spanish Language Psychological Service & Research and an M.S. in Counseling Psychology and Human Services from the University of Oregon.